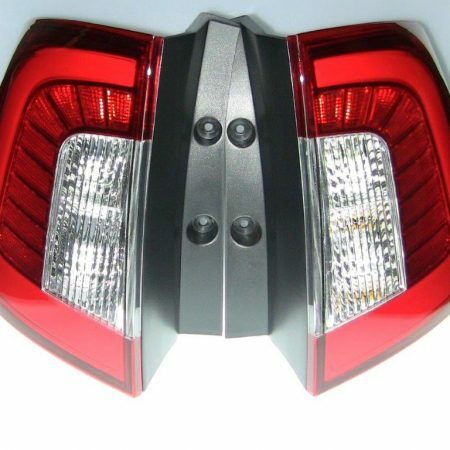 Ford Edge LED Taillights with Shadow Black interior reflector and standard red lens. 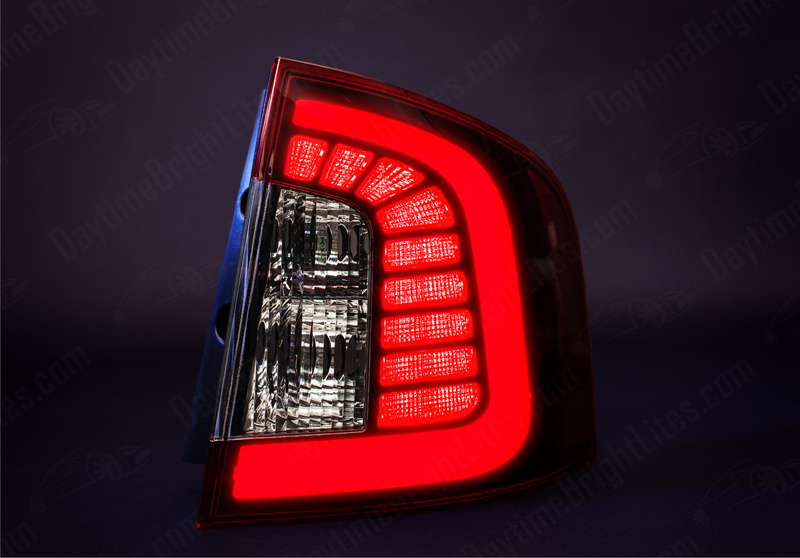 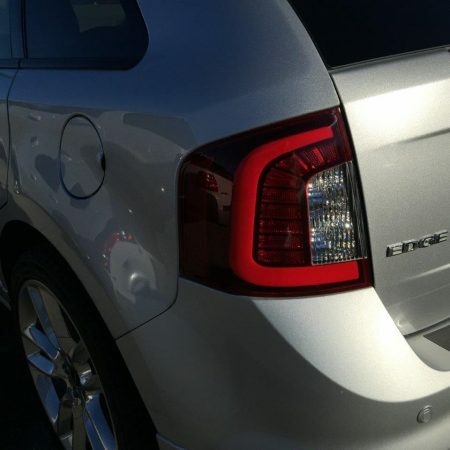 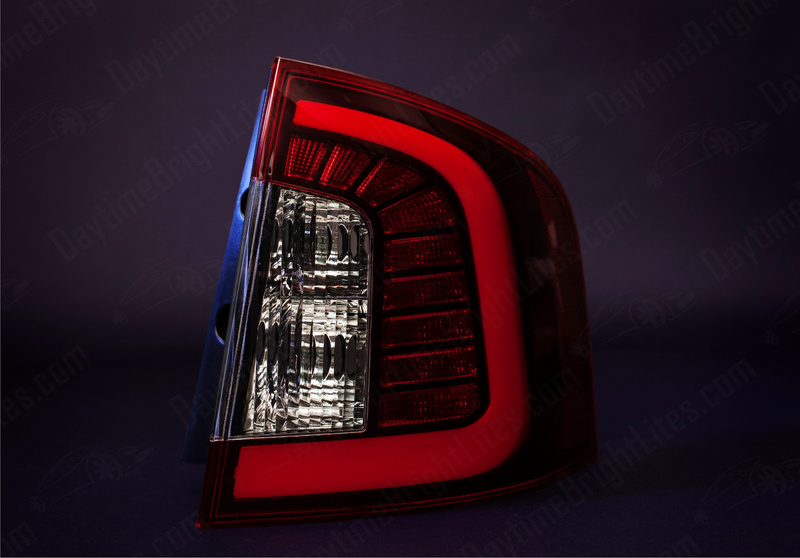 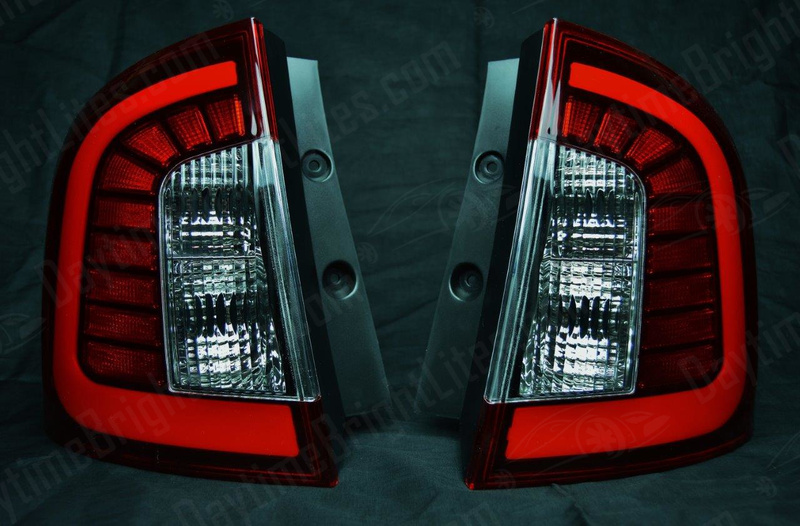 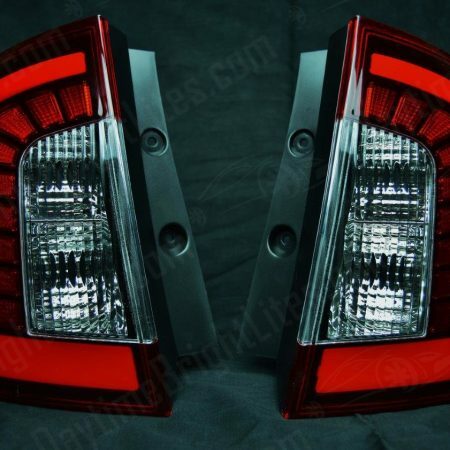 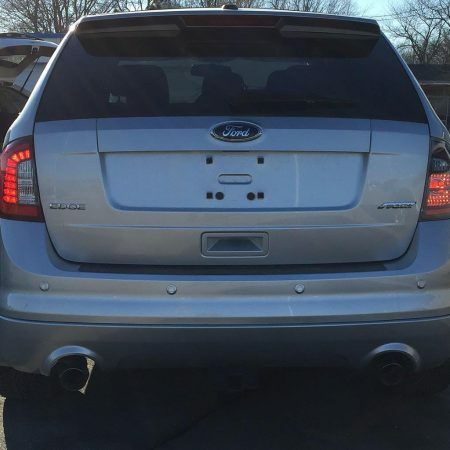 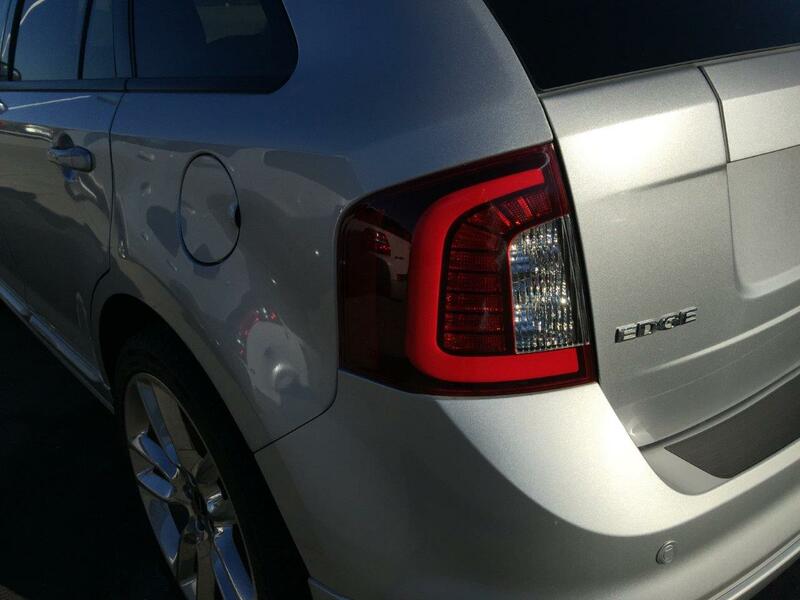 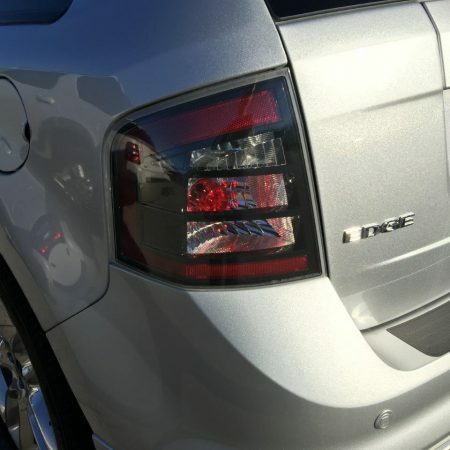 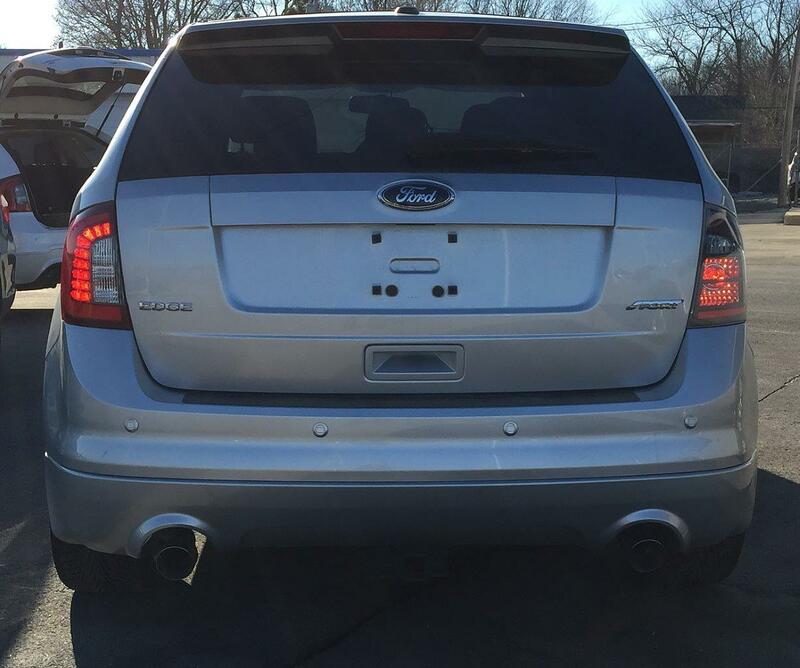 Easily replaces the stock tail light assembly on the 2007-10 Ford EDGE (All models). 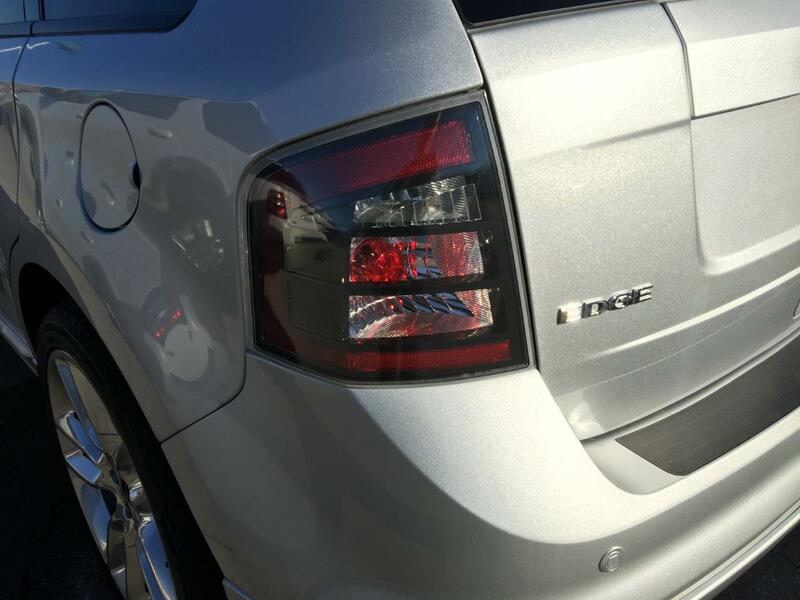 No additional wiring or need for resistors. 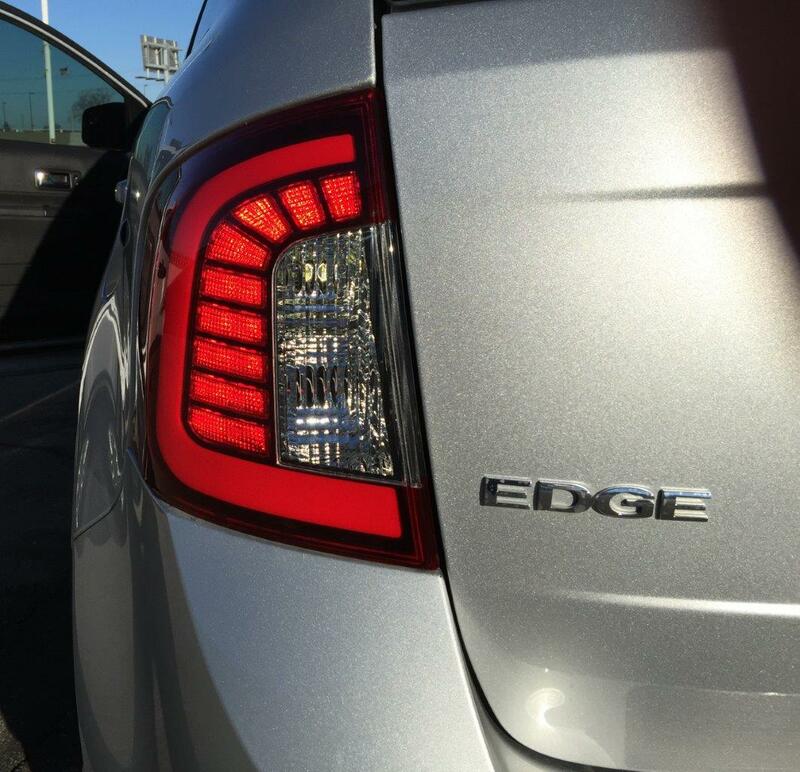 Just unplug your old stock light and plug in ours. 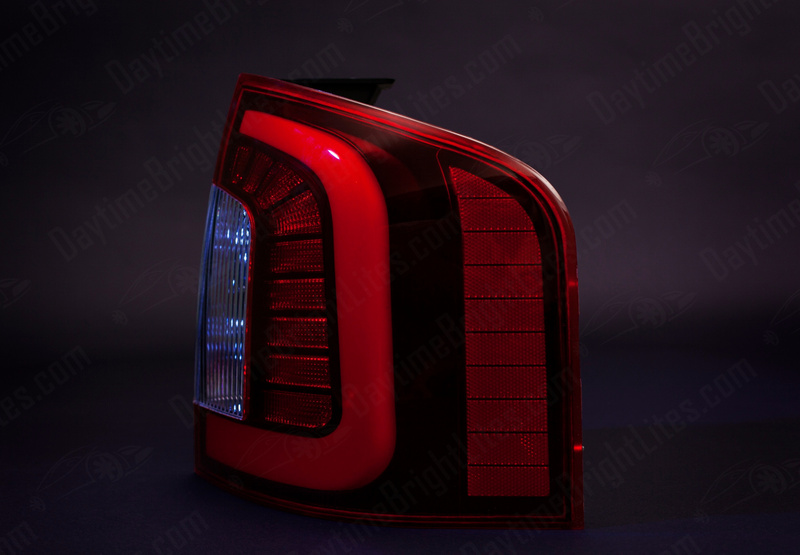 – Nine Individual LED Reflector cells. 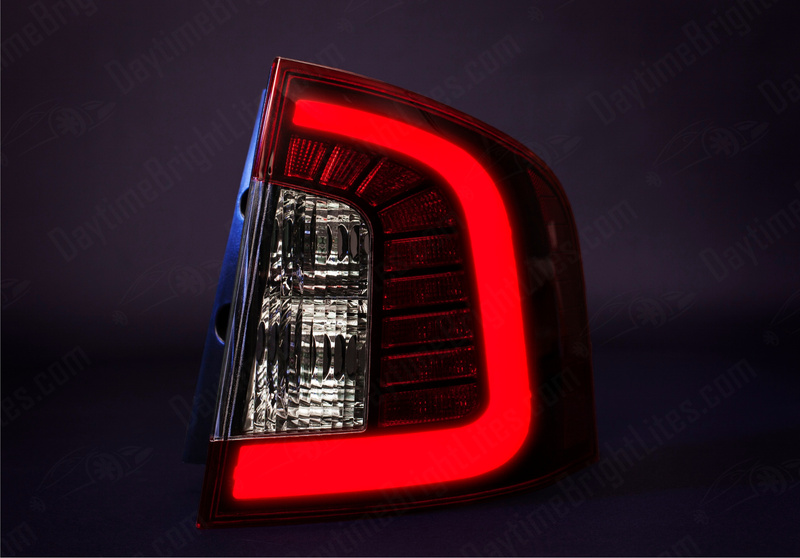 – Brighter than the stock Ford brake light. 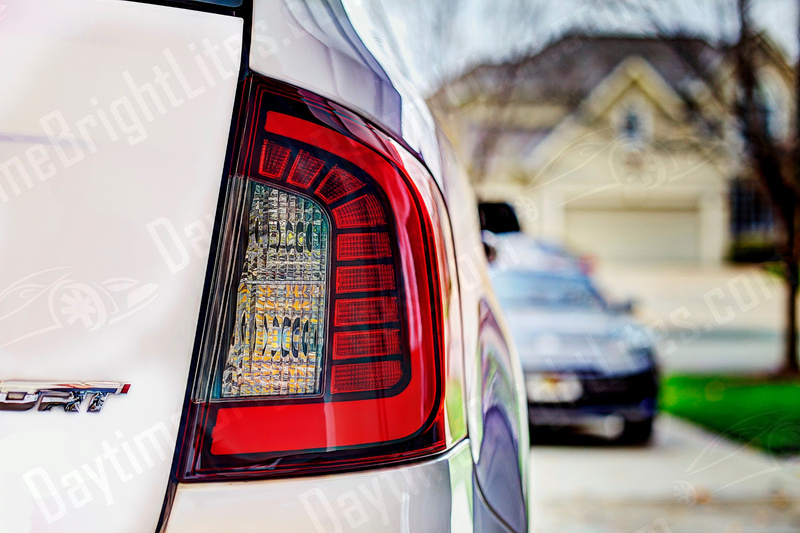 – Instant on & Instant off LED light: No fade in or fade out like standard filament bulbs. 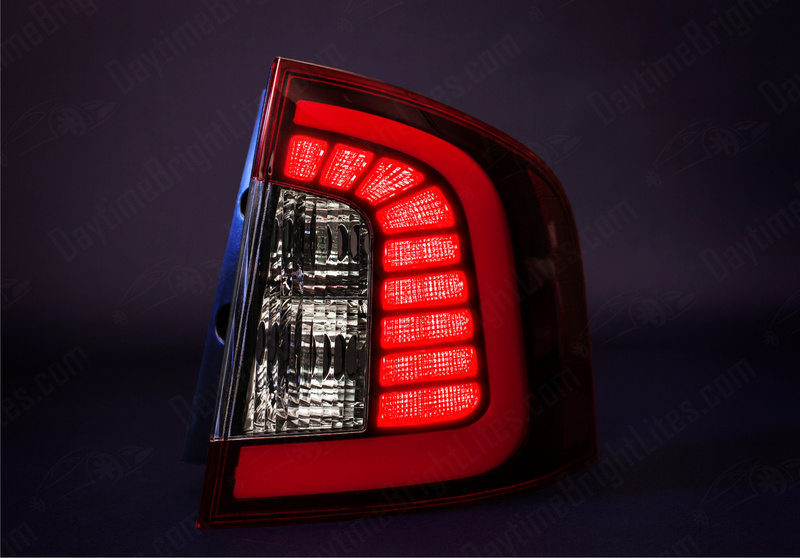 – Perfect match with the stock third brake light above rear window. 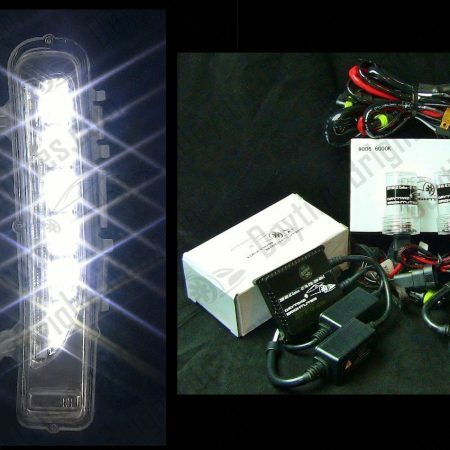 – Totally unique Floating Perimeter 3D LED Light Ribbon. 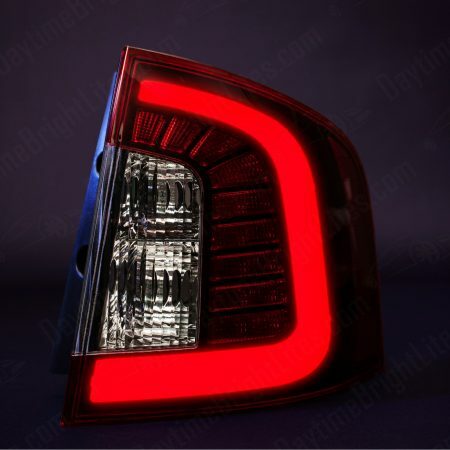 – Uniform Ribbon of Light with NO hot spots. 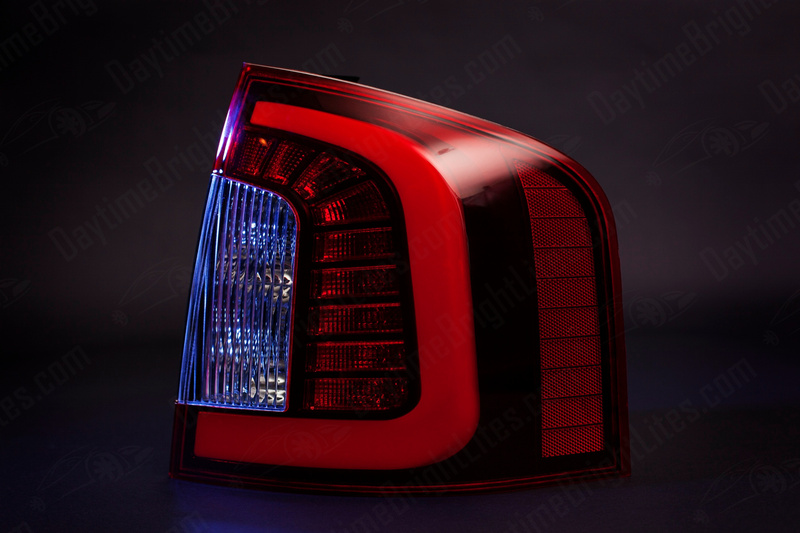 – Creates illusion that the ribbon is floating inside the taillight. 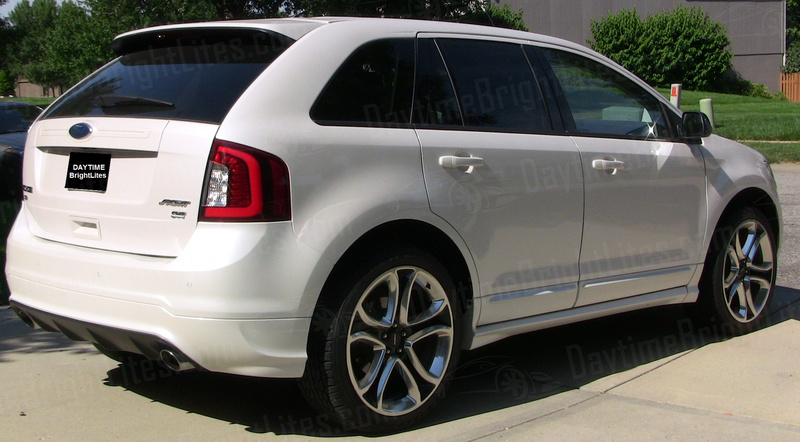 – Elegant and Sporty all-in-one look. 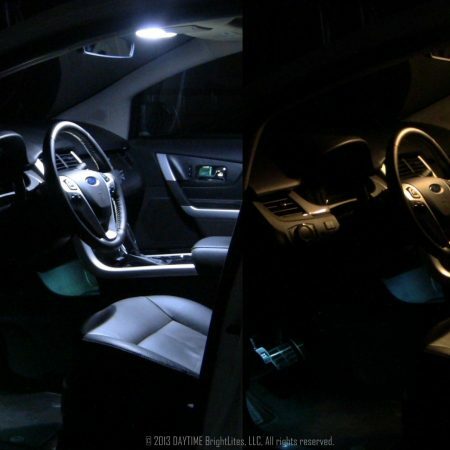 – Darker appearance provides for a great replacement option for an Edge SPORT look without the need of a smoke tinted lens for even brighter LED light output. 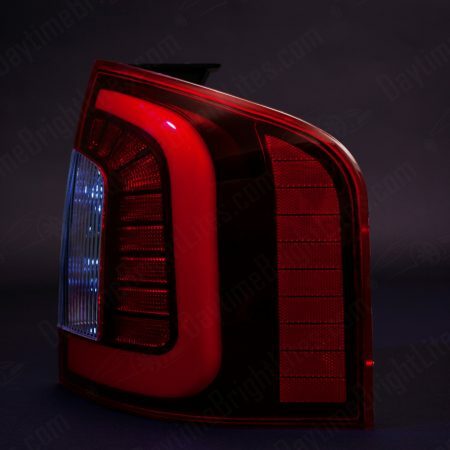 – Makes the 3D light ribbon and brake light features really pop out, day or night. 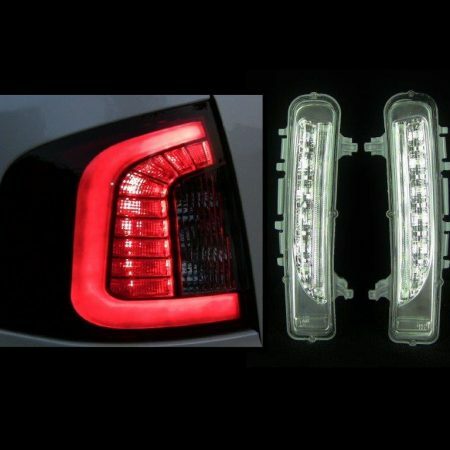 Add LED Reverse lamp LEDs: Add super bright white LED reverse functionality by also ordering one of our 50W CREE LED bulb pack.